About 20 consortia had expressed an interest in the project, but only one has submitted a bid. Devendra Fadnavis’ govt has extended the deadline to 15 Jan.
Mumbai: The Bharatiya Janata Party (BJP)-led Maharashtra government’s last-ditch effort to get the much-delayed, complicated Dharavi redevelopment project off the ground before the Lok Sabha elections has met with a sluggish response from the real estate sector. Only one company has submitted a bid to redevelop Dharavi, known as Asia’s largest slum sprawl, despite the fact that about 20 consortia had initially expressing interest in the project by attending the pre-bid meeting. The single bid has prompted the state government to extend the last date for bid submission twice — first from 28 December 2018 to 8 January 2019, and now again to 15 January. 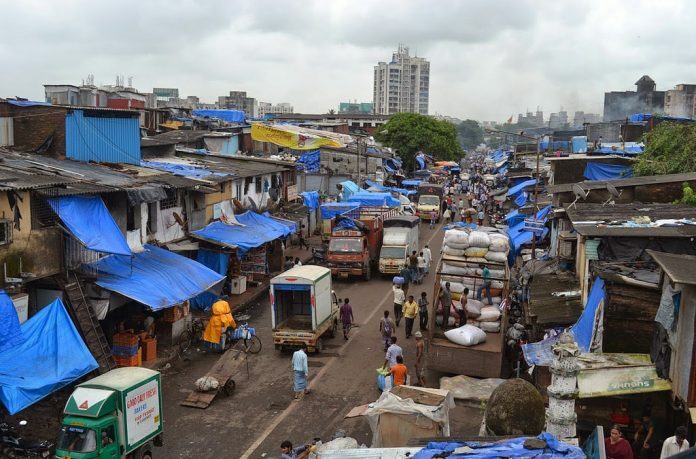 A state government official working on the project said: “The Dharavi redevelopment project is still seen as a very complex one, requiring significant investment with a much higher risk than other regular real estate or redevelopment projects. The official pointed out that according to the tender, the government can extend the last date of bid submission a maximum of twice. “Whether we get any more bids or not, we will open the bids on 16 January. Even if there is only one tender, we will evaluate it as per the criteria stated and take a decision on whether to go forward with it,” the official said. Also read: Dharavi revamp gets Fadnavis govt nod: Last-ditch effort to revive project or 2019 ploy? Last year, the state government decided to try out a new approach to redevelop Dharavi — combine all five sectors across 240 hectares as one whole, and have a Special Purpose Vehicle (SPV) with a single lead developer. An SPV, by definition, is a subsidiary company created for a specific objective, is tightly controlled, and has a legal status that secures its obligations even if the parent company goes bankrupt. As per the new plan, the Dharavi Redevelopment Project Authority of the state government will have a 20 per cent stake in the SPV, and will bring in an equity contribution of Rs 100 crore. The lead partner of the SPV will have to bring in a minimum amount of Rs 2,850 crore in share premium. While the new model was being finalised, Chief Minister Devendra Fadnavis even secured the backing of a Dubai-based group for the project. Fadnavis met Sheikh Mohammed Bin Juma Al Maktoum, the chairman of the MBM Group, a Dubai-based royal family office and investment holding company. The Sheikh showed his willingness to support the Dharavi slum redevelopment project along with other urban infrastructure projects. The exact nature of the support was, however, not disclosed. The Dharavi redevelopment project was first conceived in 2003, and has been on every party’s agenda during every election since. It has gone through two failed rounds of tendering, the last being in 2016. The approach then was to divide the 240-hectare slum sprawl into five sectors and redevelop them separately but with one master plan. Developers, however, stayed away, citing high risk amid a tepid real estate market. To show some progress ahead of the 2014 Lok Sabha and assembly polls, the Congress-Nationalist Congress Party (NCP) government of the day hived off a relatively easy sector from the plan, and asked the Maharashtra Housing and Area Development Authority (MHADA) to work on it. However, MHADA managed to build only one building, comprising houses for 358 families, until the 2014 state assembly polls. Before 2018, when the Fadnavis government decided to merge all five sectors, including the one entrusted to MHADA, the housing authority had built only two buildings while work on two more was underway.